Thanksgiving gatherings could get bigger -- a lot bigger -- as science uncovers the familial bonds that bind us. 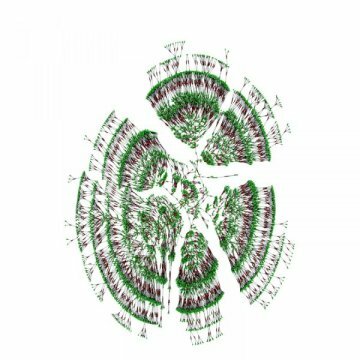 From millions of interconnected online genealogy profiles, researchers have amassed the largest, scientifically-vetted family tree to date, which at 13 million people, is slightly bigger than a nation the size of Cuba or Belgium. Published in the journal Science, the new dataset offers fresh insights into the last 500 years of marriage and migration in Europe and North America, and the role of genes in longevity. "Through the hard work of many genealogists curious about their family history, we crowdsourced an enormous family tree and boom, came up with something unique," said the study&apos;s senior author, Yaniv Erlich, a computer scientist at Columbia University and Chief Science Officer at MyHeritage, a genealogy and DNA testing company that owns Geni.com, the platform that hosts the data used in the study. "We hope that this dataset can be useful to scientists researching a range of other topics." The researchers downloaded 86 million public profiles from Geni.com, one of the world&apos;s largest collaborative genealogy websites, and used mathematical graph theory to clean and organize the data. What emerged among other smaller family trees was a single tree of 13 million people spanning an average of 11 generations. Theoretically, they&apos;d need to go back another 65 generations to converge on one common ancestor and complete the tree. Still, the dataset represents a milestone by moving family-history searches from newspaper obituaries and church archives into the digital era, making population-level investigations possible. The researchers also make it easy to overlay other datasets to study a range of socioeconomic trends at scale. "It&apos;s an exciting moment for citizen science," said Melinda Mills, a demographer at University of Oxford who was not involved in the study "It demonstrates how millions of regular people in the form of genealogy enthusiasts can make a difference to science. Power to the people!" The dataset details when and where each individual was born and died, and mirrors the demographics of Geni.com individuals, with 85 percent of profiles originating from Europe and North America. The researchers verified that the dataset was representative of the general U.S. population&apos;s education level by cross-checking a subset of Vermont Geni.com profiles against the state&apos;s detailed death registry. "The reconstructed pedigrees show that we are all related to each other," said Peter Visscher, a quantitative geneticist at University of Queensland who was not involved in the study. "This fact is known from basic population history principles, but what the authors have achieved is still very impressive." Marriage, Migration and Genetic Relatedness Industrialization profoundly altered work and family life, and these trends coincide with shifting marriage choices in the data. Before 1750, most Americans found a spouse within six miles (10 kilometers) of where they were born, but for those born in 1950, that distance had stretched to about 60 miles (100 kilometers), the researchers found. "It became harder to find the love of your life," Erlich jokes. Before 1850, marrying in the family was common -- to someone who was, on average, a fourth cousin, compared to seventh cousins today, the researchers found. Curiously, the researchers found that between 1800 and 1850, people traveled farther than ever to find a mate -- nearly 12 miles (19 kilometers) on average -- but were more likely to marry a fourth cousin or closer. Changing social norms, rather than rising mobility, may have led people to shun close kin as marriage partners, they hypothesize. Genes and Longevity To try and untangle the role of nature and nurture in longevity, the researchers built a model and trained it on a dataset of 3 million relatives born between 1600 and 1910 who had lived past the age of 30. They excluded twins, individuals who died in the U.S. Civil War, World War I and II, or in a natural disaster (inferred if relatives died within 10 days of each other). They compared each individual&apos;s lifespan to that of their relatives and their degree of separation and found that genes explained about 16 percent of the longevity variation seen in their data -- on the low end of previous estimates which have ranged from about 15 percent to 30 percent. The results indicate that good longevity genes can extend someone&apos;s life by an average of five years, said Erlich. "That&apos;s not a lot," he adds. "Previous studies have shown that smoking takes 10 years off of your life. That means some life choices could matter a lot more than genetics." "This is important in the field because epistasis has been proposed as a source of &apos;missing heritability,&apos;" said the study&apos;s lead author, Joanna Thornycroft, a former graduate student at the Whitehead Institute for Biomedical Research, now at Wellcome Sanger Institute. Adds Visscher: "This is entirely in line with theory and previous inference from SNP [variant] data, yet for some reason many researchers in human genetics and epidemiology continue to believe that there is a lot of non-additive genetic variation for common diseases and quantitative traits." In addition to his position at MyHeritage, a company that allows consumers to discover their family history through genetic tests and its genealogy platform, Erlich is a computer science professor at Columbia Engineering, a member of Columbia&apos;s Data Science Institute, and an adjunct core member of the New York Genome Center (NYGC).